I am so excited it's Friday! I could use a weekend off, that's for sure. Even so, I have a busy weekend ahead. I need to start & finish a couple posts, so that's my priority. I'm also heading to a baby shower. That should be interesting to say the least. I can't remember the last time I went to the baby shower. Wishing you a happy weekend & here are the five things I'm loving right now. As you know, I'm a gigantic fan of velvet. There's something very alluring about it. Maybe it's the texture itself. It's so soft & luxurious. 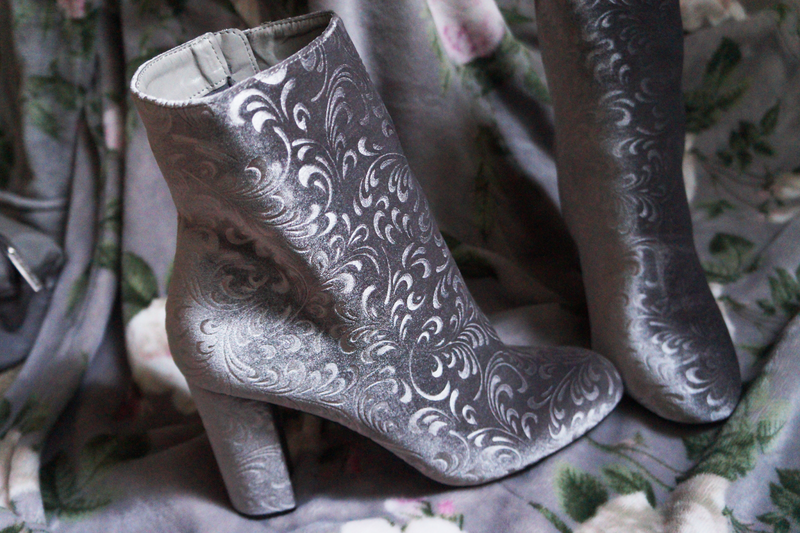 I knew I needed these velvet Dorothy Perkins boots the first time I saw them. I'm still drooling. Back at it again with another candle. I have absolutely no shame in using up about a candle a week. Fred & I just enjoy scent & overall ambience. 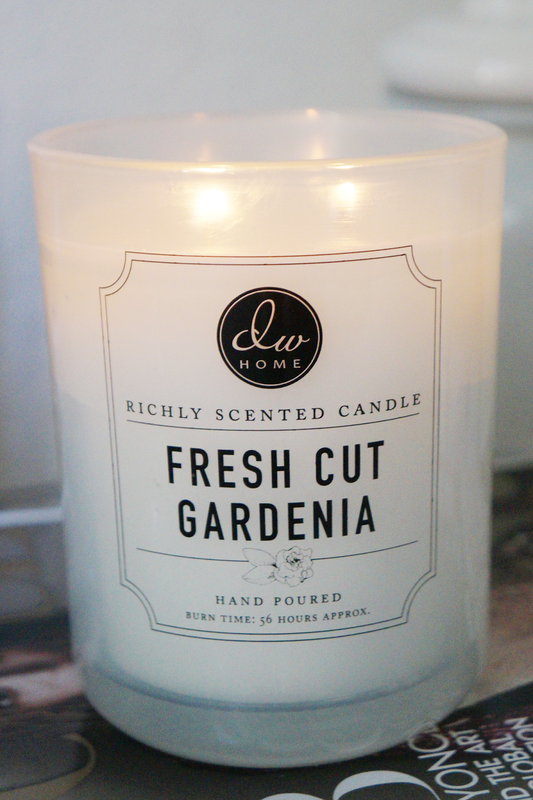 Fresh Cut Gardenia is mild but still has the floral essence. Have you ever seen so many chocolate shavings? 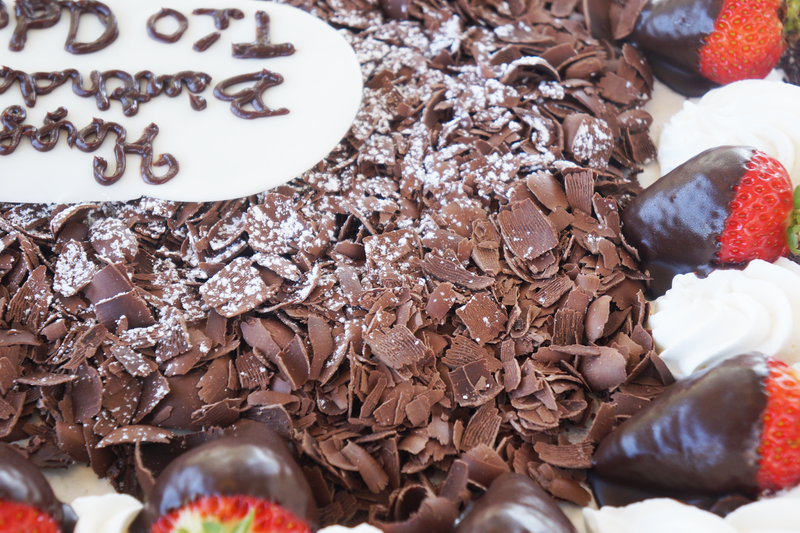 This beautiful chocolate birthday cake was for Fred's dad. I kept looking at it & drooling, but I never got the chance to try it. Fred & I left the party early to go see Bloc Party in North Park instead. 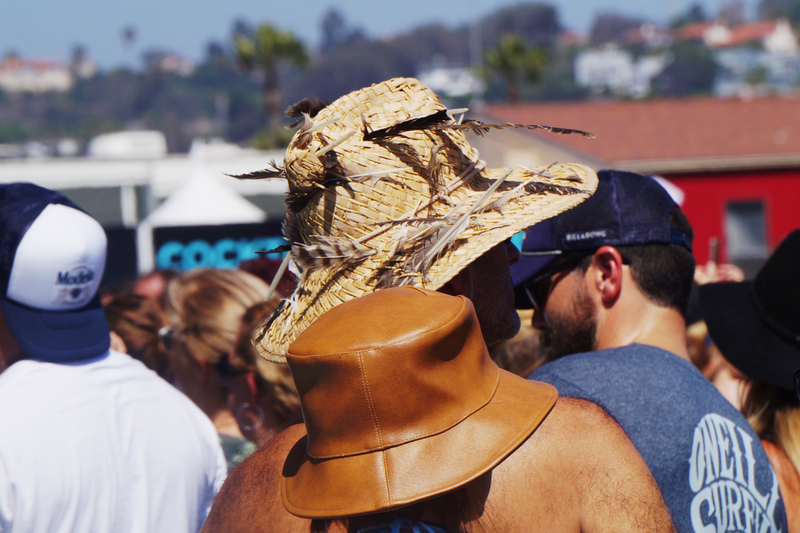 I spotted this cool couple at KAABOO but was infatuated with this woman's hat (although his hat is pretty cool too). I could seriously see myself rocking a faux leather bucket hat during autumn. It looks a bit hot to wear in the summer. 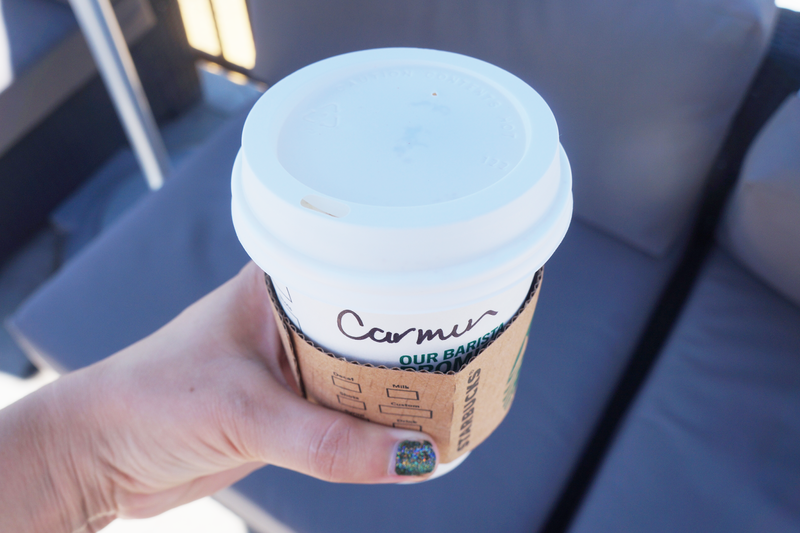 Tis the season for endless pumpkin spice lattes. This week was obnoxiously hot, even hotter than most of summer, but that did not stop me from partaking in the seasonal occurrence that is the pumpkin spice latte. It's a shame you didn't get to enjoy the cake, it looks delicious! Those boots are everything, I need them in my life and would love to eat some of that yummy looking cake, too bad you didn't get to taste it. Those boots are really nice as well, love how the heel is sort of high but not too high. Wow! beautiful picks dearie, thanks for sharing. Love those super cool booties! I love the booties on the first photo!! Howww do you have the heart to leave before trying that cake?! It looks delicious! I had the pumpskin spice frappe instead. I love it as a cold beverage. I really like those velvet boots! The design is so pretty!! I exclusively only get frappes' from starbucks haha. (and it's the middle of spring here in Australia). I find cold drinks more fun only yesterday they were out of plastic spoons :( And I like to eat the whipped cream with a spoon as well as the drink because I am weird like that.